Seduced by the romanticism of the railway and the novelty of having the option to get horizontal and actually be comfortable on an overnight journey – not to mention the promised 6:30am wake up call of hot tea and Scottish shortbread – I upgraded my ticket from the reclining seats to a standard cabin. As far as decisions go, it was a pretty epic one. How often do you get excited about a journey? As in looking forward to the actual process of going somewhere, rather than just the end point? Sure, we’ve all got excited to fly abroad for a holiday, or drive a long way to a family wedding – but can you remember the last time you actively enjoyed a journey for the journey itself? More specifically, a train journey? (Ask anyone in the South East that question right now and you may well get punched in the face). At £110 one way, the ticket wasn’t cheap, but was around the same price for a flight the same weekend, and a whole lot more comfy. From start to finish, I literally had the best experience. I was greeted and ticked off the list at the door of my coach by a lovely member of staff, and directed to my cabin. The standard class cabins are twin bunk beds, with a foldable table each, two plump pillows, duvets and a shared sink and clothes hangers. You get a towel, eye mask and free magazine (which smells really nice, btw. The first thing I do when I open magazines with nice paper is smell them). The beds are comfy and as well as the main light you get a dimmer light for each berth. If you book a Standard Cabin as a single passenger, you may have to share with a stranger, but they always match sexes and try not to put you with any axe murdering weirdos. * Broken bones do not guarantee moving to First Class. Do not go out and break bones. The First Class Cabins are wicked. 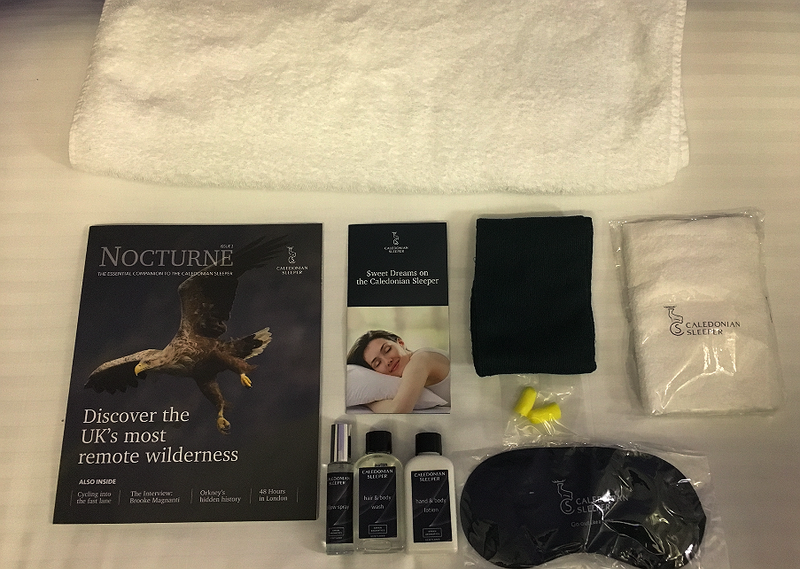 You get a whole room to yourself, so no bunk bed, a brilliant sleepover kit with an eye mask, flannel, hair and body wash, moisturiser and (wait for it…) PILLOW SPRAY. There’s also a little more room to swing a cat. (Incidentally, you are allowed to bring your cat, but please don’t swing it). If you’re lucky enough to not have any broken arms and book First Class in the first instance, you get a full English breakfast included and priority booking in the Lounge Car restaurant for dinner. You can order haggis, neeps and tattis (as long as there’s some left and all the First Class peeps haven’t nabbed it! 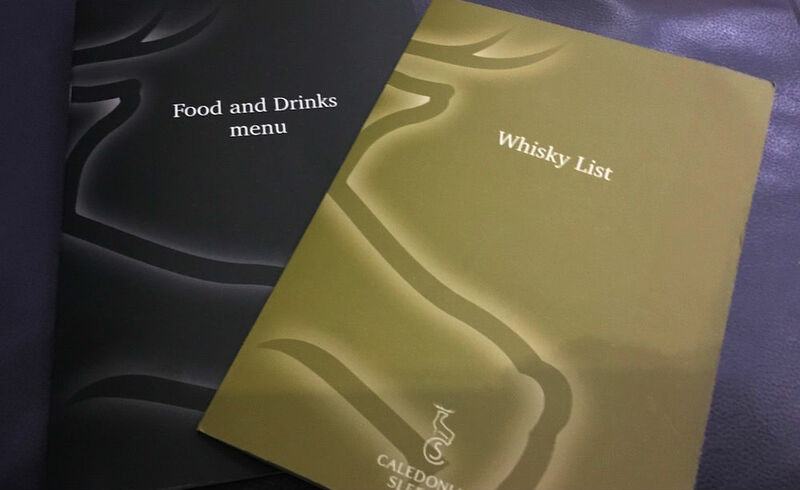 ), enjoy a wee dram of whisky or a cold beer, or get a take out dinner back to your cabin if there’s no space to sit down. The staff are the most wonderful train staff you’ll ever meet, the food is brilliant, atmosphere great, cabins comfy – it really is the perfect journey. Me and hubs have been meaning to do the sleeper train for ages as we love Scotland, but I’ve never had the chance until now. Next time I book I’ll bring him with me and it’ll be up to Fort William – or maybe even Inverness as we’ve never been that far into the highlands before. To book your sleeper train to Scotland, visit sleeper.scot. 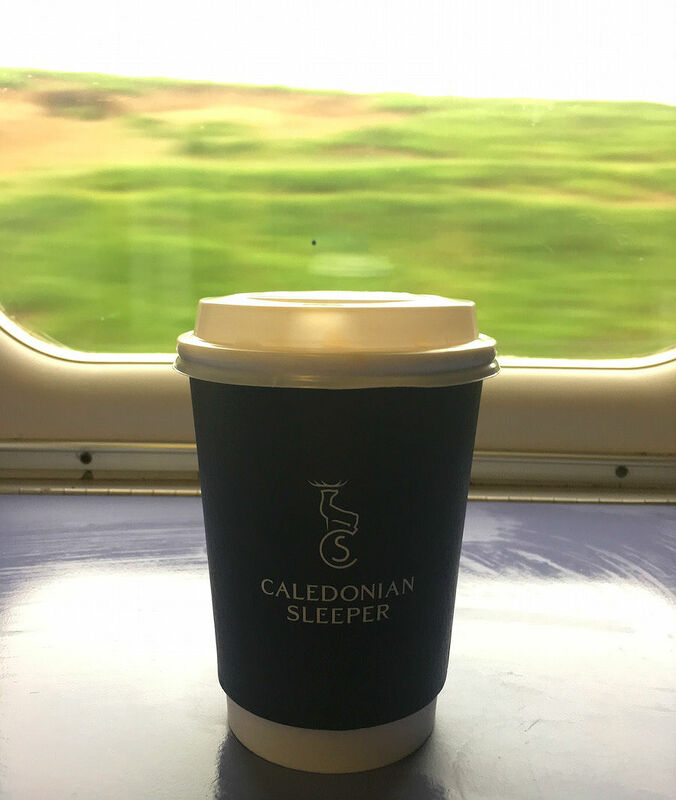 This post was not written in collaboration with Caledonian Sleeper, I just had the most epic experience that I paid for myself and wanted to share with you! 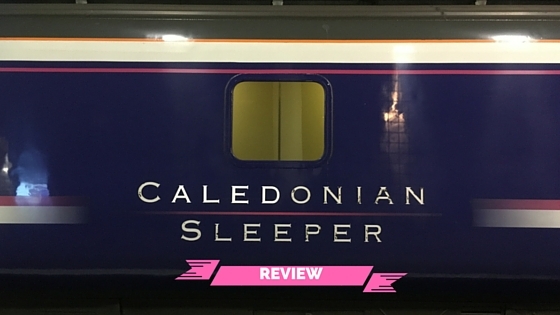 Have you ever travelled by sleeper train?